Previously we've only had one guide for streaming. Now with more games out with eye tracking features and they're great to stream. If you're interested to use both Tobii Ghost and the in-game features you have to set it up in a certain way. While if you only want Tobii Ghost you can let your streaming computer do all the work. For information on how to do the general set up for using two computers to broadcast, check out Twitch's awesome tutorial Broadcasting with two computers. Jump to How to setup streaming with in-game features and Tobii Ghost. Jump to How to setup streaming with only Tobii Ghost and your streaming PC running the software. 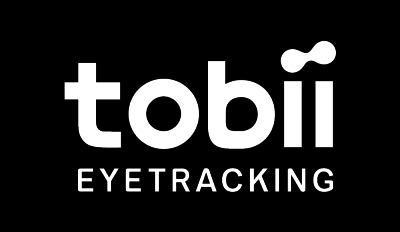 Do you want to play a game with eye tracking features and/or stream with the Tobii Ghost extension on Twitch? Then you're in the right place! This setup differs from the previous guide as you need to connect your eye tracker directly to your gaming computer. Set up Tobii Ghost as you do with a one PC setup. Sync the bubbles with your stream in the browser. You can also connect the eye tracker to your streaming PC. Run both the software and Tobii Ghost on that computer. The benefits are that your gaming pc will have all resources for the game while you'll miss out on the in-game features in our eye tracking games. Connect your Tobii Eye Tracker to your Streaming PC. Install Tobii Eye Tracking on your Streaming PC. Install Tobii Ghost on your Streaming PC. Mount your eye tracker on the Gaming screen. To calibrate, please connect an HDMI or such to a secondary input on your Gaming screen and then calibrate. Once calibrated change the source input on your Gaming screen to your Gaming PC input. Now you just need to set up Tobii Ghost in your recording or broadcasting software. Please note that your gaming screen and the streaming screen should be set to the same resolution and scaling.